Thanks to Jim Allaway of "Navy News" for permission to use the photo of the 'new' HMS. Vengeance Submarine. 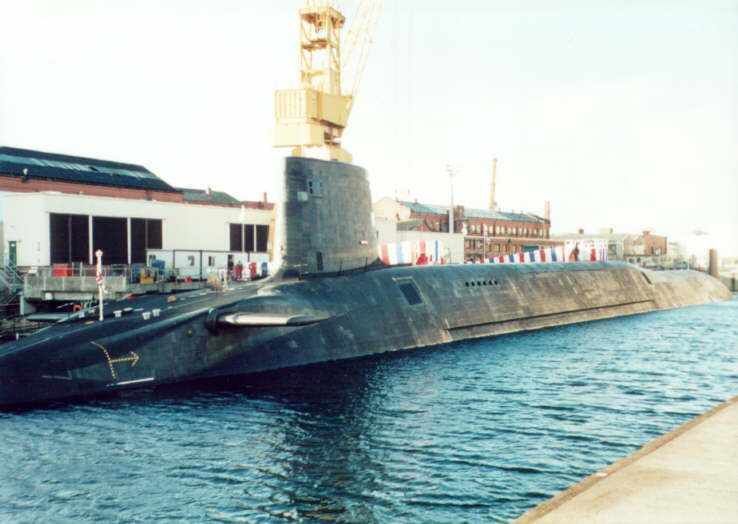 The latest and eighth addition to the 'Vengeance' family name of warships, is a Vanguard-class submarine (S 31), which was commissioned on the 27th November 1999. 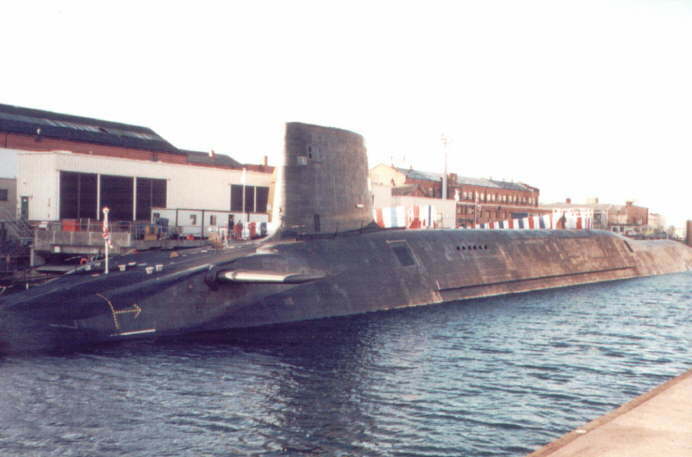 Built by VSEL at Barrow-in-Furness, Cumbria, she is the fourth and final submarine of the Vanguard class to be built and joins her sister ships HMS. Vanguard, HMS. Victorious and HMS. Vigilant. The 'new' HMS. Vengeance is the most advanced and largest submarine ever built in the U.K. and incorporates all the modern technology, equal to that of the Space Shuttle. 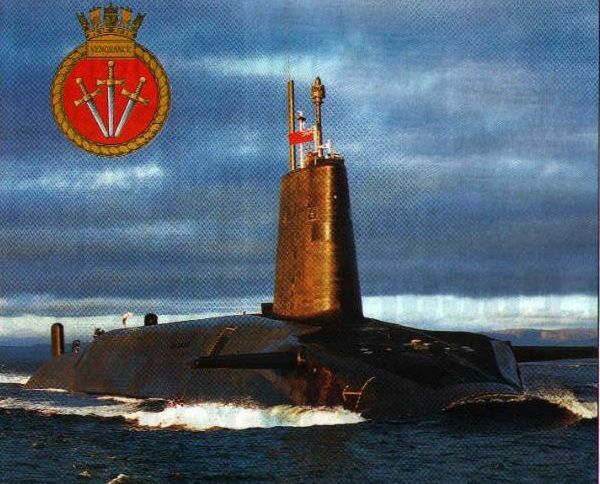 The motto is as new as the ship itself, 'Safe by my Strength' as it was thought 'politically incorrect' to retain the old motto "I Strike, I Cover" for a nuclear submarine, although it was ideal for a wartime aircraft carrier. HMS. Vengeance will be based with the First Submarine Squadron at HM. Naval Base Clyde, Faslane, Scotland and will continue to maintain the nation's nuclear deterrent. HMS. 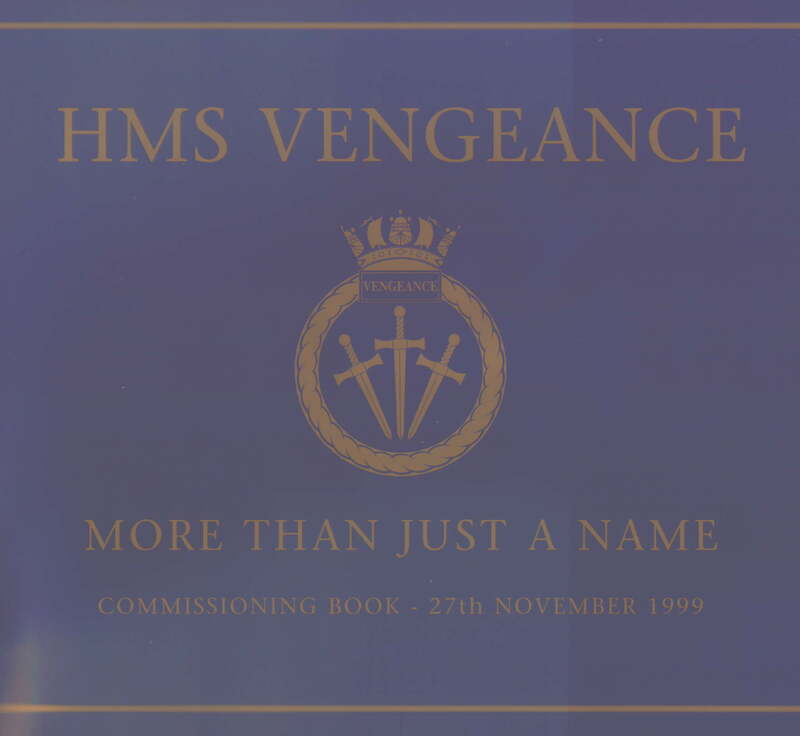 Vengeance at the Commissioning Quay, 27th November 1999.